Category: Ebi (prawn). Season: fall and spring. 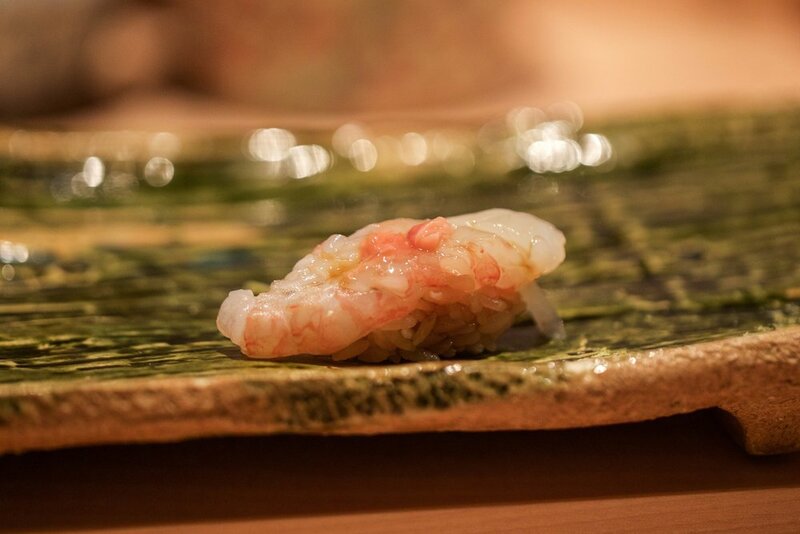 Typically, the best botan ebi is found either in Hokkaido or in Toyama Bay on the west side of Honshu. It features a really wonderful, delectable texture and incredibly sweet flavor that is perfectly complemented by well-seasoned shari.